Just in time for the holidays: a bunch of my poems for you to read! The Were-Traveler publishes speculative micro-fiction and poetry, with Issue #19 completely devoted to poetry with fantasy, sci-fi, or horror themes. Five of my poems are in the issue and three of them were given lovely artistic accompaniment. I hope you enjoy them! There are a lot of wonderful poems in the issue, so please check it out here. Links straight to my poems are below. It’s been a long wait (with its new fall schedule), but FanExpo is here in Vancouver from November 11-13! I will be co-piloting the HMS Bad Idea airship (aka: booth A8 in Artist’s Alley) with Peter Chiykowski of Rock, Paper, Cynic, Is It Canon?, and Dad Joke Han Solo fame. Like last year, I will be writing haiku for the special guests in attendance like Jewel Staite ♥, Kevin Smith, Christopher Lloyd, and Carrie Fisher! I met Carrie Fisher last year, jumping her autograph queue because my dad had shown her the Limited Edition Princess Leia vs. Captain Kirk haiku print that I had made with Aaron Plants (of Big Simple Comics and Is It Canon? ), AND she wanted a signed copy. I was giddy for days after that. 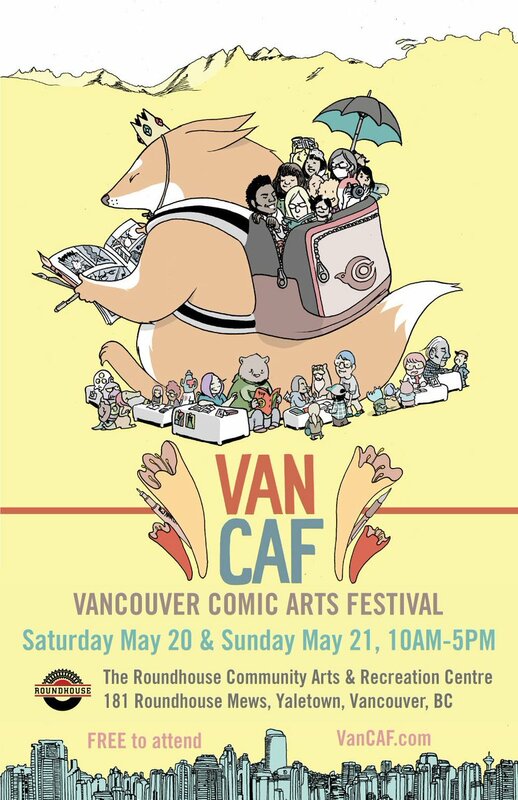 I won’t be doing any limited edition so spectacularly this year, but I will have lots of great poster and post card prints, as well as freshly-made copies my Existential Lop comic (a pet rabbit’s guide to philosophy) that sold out at Word Vancouver. 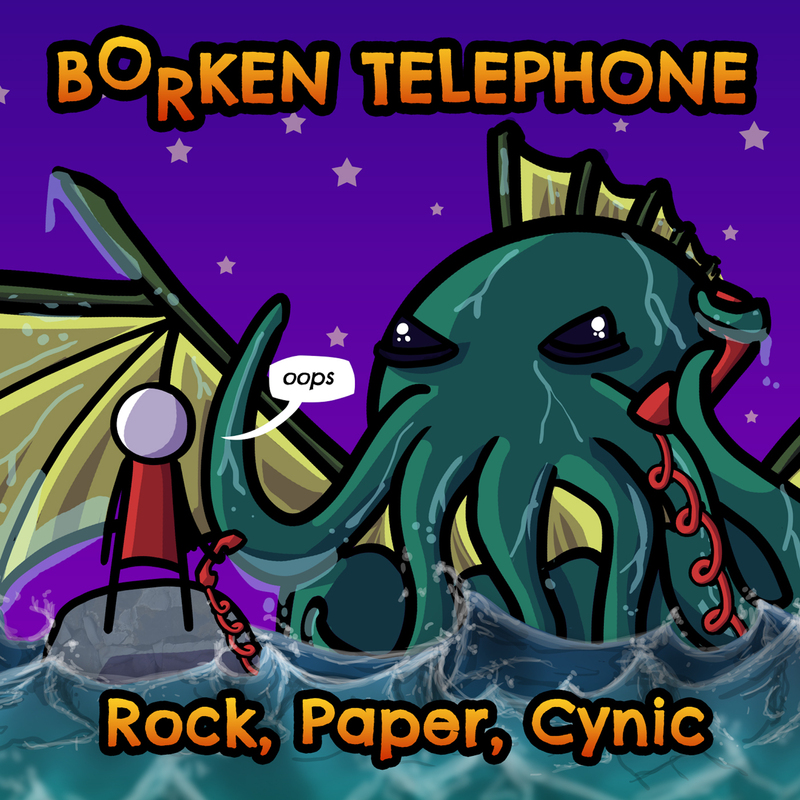 Peter will have his amazing selection of books, posters, and album of nerd-rock music: Borken Telephone. This is my second year at the Word Vancouver festival, and I will be selling posters, postcards, and chapbooks in the Alice MacKay room of the Vancouver Public Library all day today (Sunday, September 25). I will also have lots of my friend Peter Chiykowski’s Rock, Paper, Cynic merchandise available too. I’m still working on my Star Wars action figure comic, but I took a break to write a little book that I’m really proud of: The Existentialist Lop. It’s basically a beginner’s guide to existentialism as told through the thoughts of a lop bunny rabbit. Lops have long, droopy ears, and they are delight to follow on Instagram. My comic is in the style of the Lops of Instagram who refer to their “Mommy” or “Hoomans” in their first-person posts. I also have a poem coming out soon in Carousel Magazine. The issue will debut at the Word on the Street Festival in Toronto… today I think! I’ll post more about this soon. Hope to see you at Word Vancouver!